The evening of November 28, 1973 saw the United States make its grand entrance onto the international fashion scene. Five American designers and five French fashion hotshots went head to head for a runway show at the Château de Versailles on November 28, 1973. The event’s objective was to raise money to restore the château, and saw the United States make its grand entrance onto the international fashion scene. “By the time the curtain came down on the evening’s spectacle, history had been made and the industry had been forever transformed,” wrote Washington Post fashion critic Robin Givhan in her book The Battle of Versailles (2015). In 1973, the former residence of French kings, the Château de Versailles, had become drafty and derelict, and its head curator Gérald Van der Kemp was looking for patrons to finance its restoration. The American Eleanor Lambert, founder of the New York Fashion Week and an influential figure in the fashion world, suggested he organize a dinner followed by a runway show to raise money. At the time, Paris was where fashion happened, and specialists would accept nothing but haute couture. In the United States, the end of the Vietnam War, the Watergate scandal, and the rise in feminist movements all converged to liberate bodies and minds, and young designers were flourishing in the new culture. Sensing the trend, Eleanor Lambert hoped to reveal these new talents to the world by bringing them to France. The evening of November 28, 1973, was sponsored by Marie-Hélène de Rothschild, and gathered the “crème de la crème of the jet set,” according to Robin Givhan. 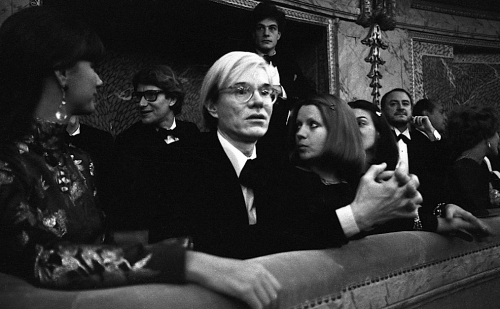 The guest list of 600 people included Grace Kelly, Jane Birkin, and Andy Warhol, and a total of 280,000 dollars were raised to purchase furniture for the château. 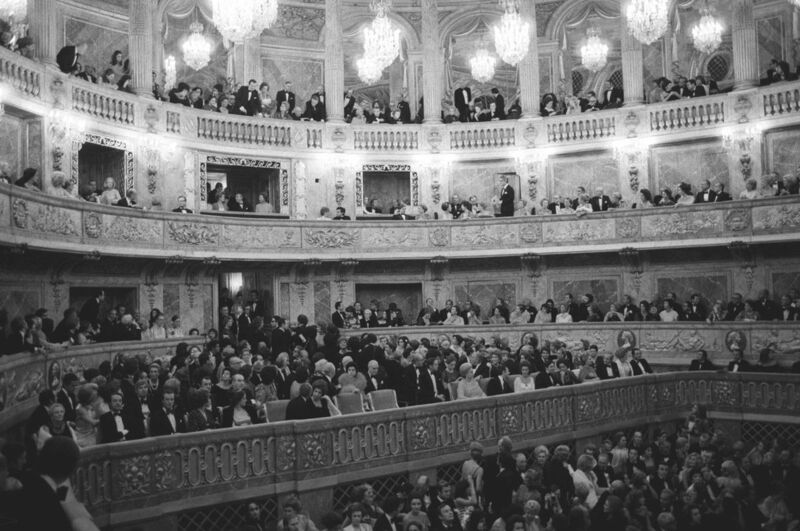 The two shows were performed one after another in the Gabriel Theater, and saw Yves Saint-Laurent, Christian Dior, Hubert de Givenchy, Emanuel Ungaro, and Pierre Cardin face five Americans who were little-known outside of the United States — Oscar de la Renta, Stephen Burrows, Halston, Bill Blass, and Anne Klein, accompanied by her assistant Donna Karan, who was six-months pregnant. Josephine Baker opened the French show, and her performance was followed by a two-hour, grandiose production accompanied by an orchestra. The runway featured a replica of the Sputnik rocket, Cinderella’s coach, and a Cadillac, punctuating the appearances of models in a variety of outfits. Liza Minnelli presented the barely-finished American show, which lacked both decor or any real lighting work, and the music was played on a simple cassette tape. But the athletic, scantily-clad models and their colorful, ethnic outfits enthralled the audience. Ten of the 30 women were African-Americans, including Pat Cleveland and Billie Blair, and made a strong impression on the crowd. The U.S. show concluded with a flurry of golden brochures thrown into the air by the enraptured spectators. Although France had showcased its rich past, the American offering proved itself to be steadfastly turned to the future while pushing its ready-to-wear fashion firmly into the spotlight. Some 44 years on, the evening of November 28, 1973, continues to fascinate. Few photos were taken of the show as no one imagined it would be a groundbreaking event, let alone a turning point in fashion history. Documentary makers have since approached Stephen Burrows — the last of the five U.S. designers still alive — and the models who performed that night, who are all quick to talk about their memories with palpable emotion. Floridian director Deborah Riley Draper was the first to focus on the event in her historical documentary Versailles ’73: The American Runway Revolution, released in cinemas in 2012. Fritz Mitchell then went on to recreate the outfits from the American show to produce the 2016 documentary Battle at Versailles. And a television movie adaptation of Robin Givhan’s book is currently being filmed for HBO by Ava DuVernay, who directed the movie Selma.